A knee brace is a device that can be used to stabilize a person’s knee when they have been injured or if they have pain or discomfort due to a medical condition, such as arthritis. Sometimes, pain and discomfort can make it difficult to play your favorite sports, or even take a leisurely walk. Investing in a knee brace can make all the difference in your ability to play sports like basketball, tennis, or even skiing. 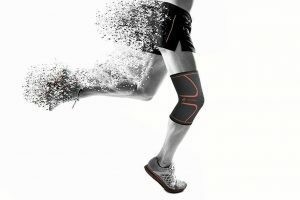 When it comes to choosing the best knee brace for you, it’s important to understand what you are going to be doing with the knee brace on your leg. You’ll want to get the best knee brace for the activity you want to engage in. 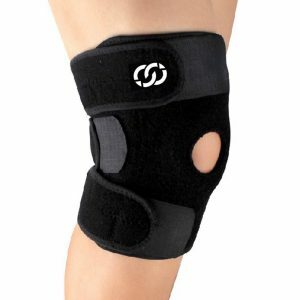 Since we’re talking sports, here are the best knee braces for basketball. This is a great knee brace to support movements such as running, jogging, and brisk walking associated with playing basketball. It can also help alleviate some pain associated with arthritis in the knee and can help aid in recovery if injuries occur during time on the basketball court. It is lightweight and has an anti-slip silicone fabric that acts as a compression product to keep your knee stabilized during movement. It’s available in sizes for men, women and children. The Winzone brace provides stability and support during running, walking and jumping. It is a great option for basketball playing because it can help reduce the risk of muscle and tendon tears, as well as help relieve pain in the knee that might be caused by sudden movements, such as jumping. It’s bulkier than the Ultra Flex Sleeve because of the velcro binding that keeps it on the knee, but it is effective, nonetheless. The iPow offers an alternative support option for basketball players. This product focuses on the kneecap, or patella, itself and provides compression directly around the knee to absorb shock and help stabilize the knee in place. 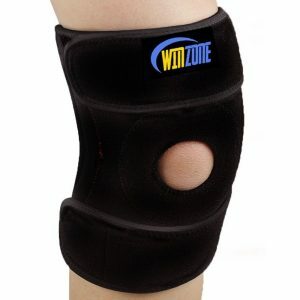 Soft and lightweight, these knee braces come in one size to fit everyone and are easy to put on and take off. These braces can also help aid in the building of thigh muscle because of the compression features that focus on the area around the knee. They might not make you “jump like Mike”, but they can help you improve stability on the courts. 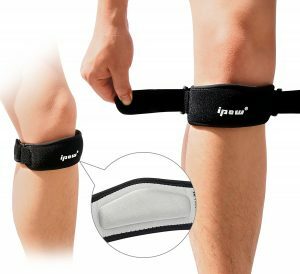 A more traditional style knee brace, the Compressions product is adjustable thanks to the velcro padding, and it provides a good deal of support for meniscus tears, pain due to arthritis or injury to the muscles and tendons around the knee. This product is available for both men and women and it allows your knee to breathe, which helps to reduce sweating and rashes from developing from overuse. When you discover you need a knee brace for playing basketball, you’ll want to think about the injury or condition you already have, and consider any future damage that could occur as you continue to play your favorite sport. ● Think about the material: will it irritate your skin? Can your knee breathe? Do you prefer nylon or other material? ● Think about the size: do you want a small knee brace that supports one specific part of your knee or do you want all over stabilization? ● Think about the applications: do you need a brace strictly for basketball, or do you need an everyday knee brace for walking around and running errands? ● Think about ease of use: a compression style brace will provide a lot of support but may be difficult to get on and off for some people; what kind of binding or latching do you want in your brace? ● Think about cleaning it: how easy is it going to be to clean this thing? Your knee is going to get sweaty; it’s best if you can throw it in the washing machine or in hot soapy water to clean it. ● Think about your clothing: will the brace you choose fit under your clothes or will you have to wear it over your pants? While playing basketball, shorts are usually worn, but if you need the brace for off the courts too, you’ll want to think about a smaller brace. We’ve reviewed the best knee braces for basketball and given you everything you need to know to make an informed decision about what brace is right for you. Try them on, test them out. See what feels good to you and what provides the most support for you. You’ll be back on the basketball course in no time!